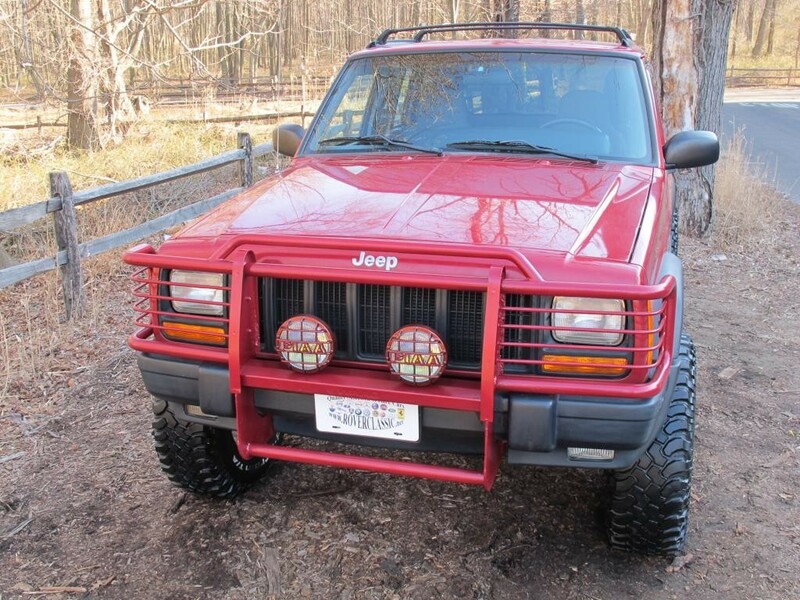 1998 JEEP CHEROKEE SPORT XJ ... 45,186 Original Miles Engine : 6 Cyl, 4.0L Transmission : Auto Vin : 1J4FJ68S3WL181256 Exterior : Red Interior : Grey Body Style : SUV This SUV comes to us from Texas, it has 3 inch lift, Automatic Transmission, Power Brakes, Cloth seats, Fog lights, Driving lights on Brush Guard, Power windows, Power door locks, CD / AM / FM and Air Conditioning. Engine is in Great Shape, does not smoke, does not leak, nice and quiet. Transmission feels Perfect, shifts without any problems, without delay, and without noise. 231 Transfer case allows to drive in 2wd when 4wd is not required. It saves on gas as well as wear and tear. Suspension is in Excellent shape, Jeep tracks nice and straight. There is No Evidence of any Electrical problems. The exterior is in Excellent shape for a 1998. ( !!! Check out the pictures !!! ). The paint is in great shape, with no rust anywhere. Cloth Seats, Carpet Floor and Glass are all in Great shape ( !!! Check out the pictures !!! ) Interior of this car is Nice and Clean ( !!! Check out the pictures !!! ). This SUV has 4 matching tires with more then 85% tread left, that are mounted on Good straight rims. Our mechanics have performed needed maintenance to this truck. We have replaced all Shocks, Brake pads as well as an Oil change. It does not look like the car was taken off road much, there is no usual off road damage ( scratches on the body, underside rock damage ). Underside of the Jeep is covered with rubberized undercoating. It will be sold with a clear title and it will be sold as-is, where-is.